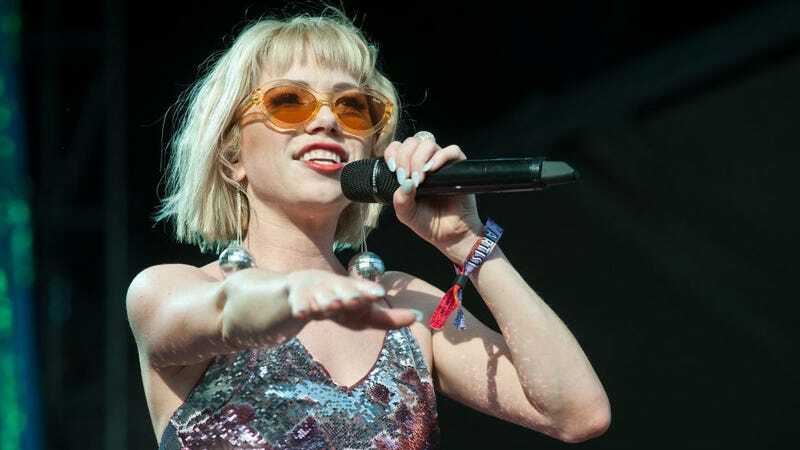 If you were lucky enough to attend Carly Rae Jepsen’s Saturday afternoon set at Chicago’s Lollapalooza, you were likely to see a few signs urging someone to “give Carly Rae Jepsen a sword.” More than a mere bit of randomness, this is, well, actually a thing. 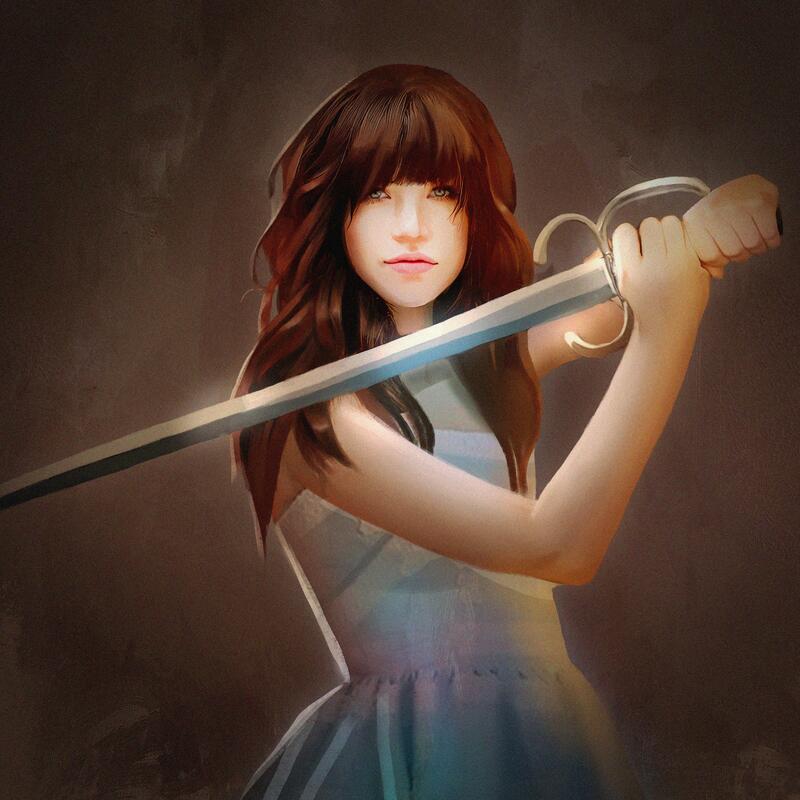 As Teen Vogue reports, the bit dates back to a Tumblr post petitioning fans to give the “Call Me Maybe” singer a sword because “I like her and she should have one” (one Reddit user clarifies it’s because “she’s the queen and absolutely slays”). This has blossomed into all manner of online fuckery, with oodles of fan art emerging in between no shortage of memes. Well, as one might’ve guessed from the slew of inflatable swords bouncing up and down at the front of her Lolla crowd, it was time to get actually get one of those bad boys in her hands. During her closing performance of the infectious “Cut To The Feeling,” one of the blades actually made it into her hands, prompting the singer to exclaim, “Oh yeah! A sword!” She then incorporated a few jousts into her performance before “knighting” her guitarist, who humbly bowed at her feet to receive the honor. What’s next? Give Ariana Grande a battle axe? We’d like to see Ariana Grande with a battle axe.